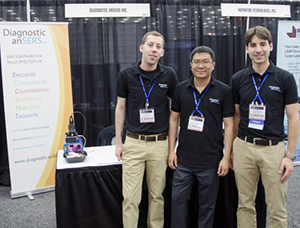 Top: Diangnostic anSERS, a company founded by BioE graduate students, won 3rd place in its division. 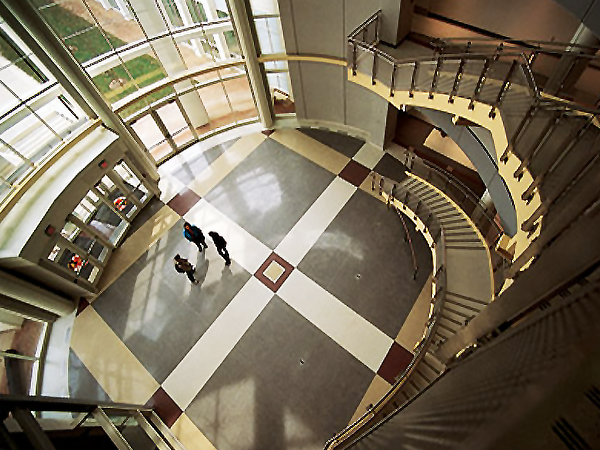 Top, left to right: Clark School dean Darryll Pines, BioE graduate student and Fischell Fellow Sean Virgile, BioE graduate student Eric Hoppmann, and Robert H. Smith School of Business dean G. "Anand" Anandalingam. 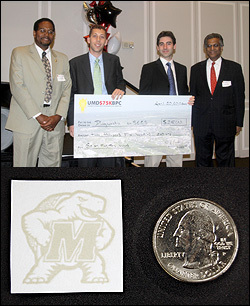 Bottom: Diagnostic anSERS uses this image of University of Maryland mascot Testudo, which was produced by an inkjet printer using a novel, silver-laced ink, to demonstrate how their SERS substrates can be adapted to any size and shape required. 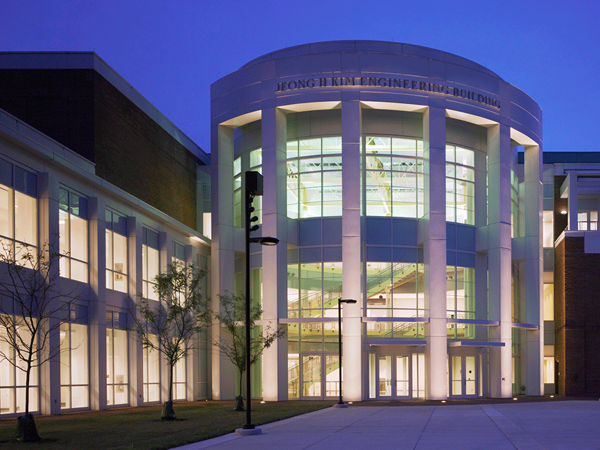 The Fischell Department of Bioengineering (BioE) has a strong tradition of seeing its faculty, students and alumni reach the final round of the Maryland Technology Enterprise Institute's University of Maryland $75K Business Plan Competition, and this year was no different. Ninety-one new companies led by "EntTERPreneurs" entered, and of the nine teams chosen for the final round of competition, three had founding members from BioE. Now in its twelfth year, the $75K Business Plan Competition promotes the commercialization of innovative ideas and university-created technologies by offering faculty, students, and alumni prizes for the best new venture plans. 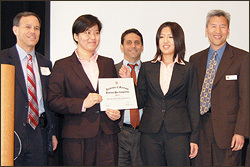 The competition emphasizes learning by offering one-on-one coaching for finalists, as well as the experience of presenting ideas to an experienced panel of judges. Companies active in the competition have generated millions in revenues, grants and awards. 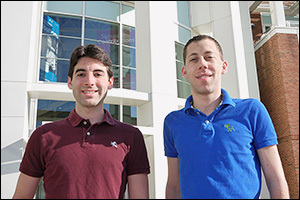 Diagnostic anSERS, founded by BioE graduate students Eric Hoppmann and Sean Virgile, both advised by BioE and Institute for Systems Research assistant professor Ian White, took third place in the Graduate Student, Faculty and Researchers category. The pair received a $2500 prize that will be used to support the development of a system for detecting contaminants such as pesticides, explosives, and toxins in food products, ground water and other liquids. 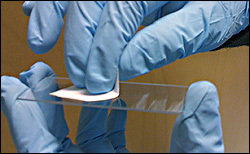 Using a novel ink jet printing process, Diagnostic anSERS can fabricate inexpensive substrates for surface enhanced Raman spectroscopy (SERS), a molecular fingerprinting technique. This allows for the sensitive detection of a wide variety of chemicals, such as rhodamine, TNT, cocaine, and malathion. The ColorCarton Group, which includes BioE juniors Jonathan Chang and Nima Sarfaraz, is developing new packaging for milk cartons that show how fresh the milk is and when it has spoiled. CROME Solutions, which is developing new blood pressure cuffs that are more accurate and fit patients' arms more precisely, is comprised entirely of BioE seniors: Oren Feder, Christopher Gloth, Ryan Hilaman, Emmarie Myers, and Mariya Sitnova. 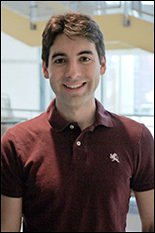 The company grew out of the group's senior capstone design project. Sitnova says the CROME team enjoyed the competition, even though it did not win its division. "We were just happy to have gotten as far as we did," she says. "None of us had written a business plan before, so it was a very different and exciting experience."